The Special Event Boutique and Bridal is proud to offer the best selection of bridesmaids gowns for your supporting cast. From petite to plus, persimmon to pistachio, zip-up to lace-up, satin to chiffon, at the knee or touching their toes, your bridesmaids deserve to look and feel the part! Whether they're your sisters, college roommates, co-workers or friends… when you walk down the aisle, they are the ones you want by your side. As part of your special event, you want your bridesmaids to know the place they hold in your heart. 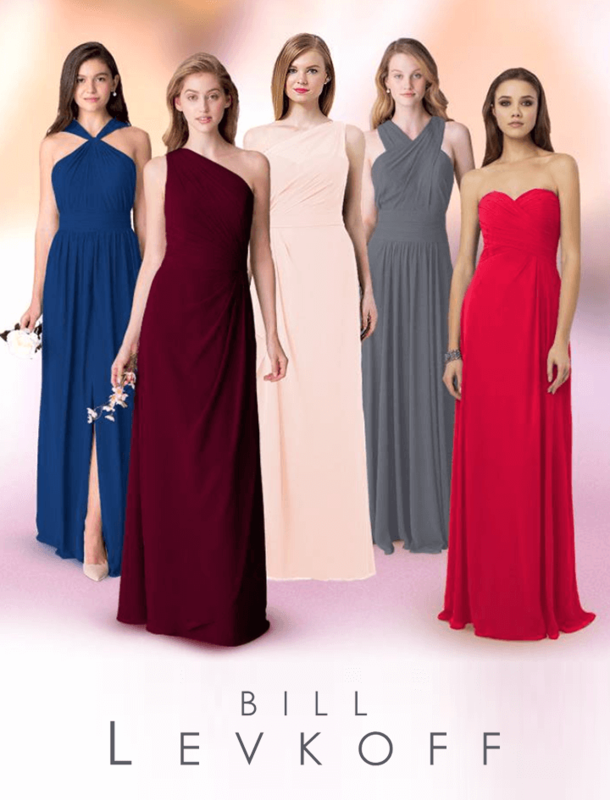 We currently carry Bill Levkoff, Allure, Mori Lee, Kanali K, Faviana, and Sorella Vita.